The KOA Resort is a beautiful 54 unit low density community. 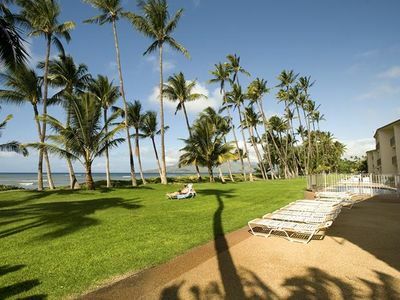 This resort is unique in having 5.7 acres of lush landscaping. 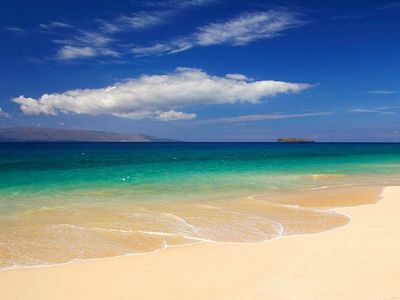 We are located across the street from over 6 miles of the most beautiful beaches in the world! 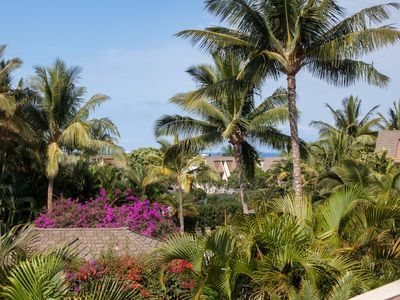 Being on the leeward (drier side) side of the island provides warm dry days, cool evenings with intoxicating trade winds from the Northeast, and no insects! We update our calendar over coffee each morning. Please use for our calendar for your planning so text, or give us a call or email us an inquiry. 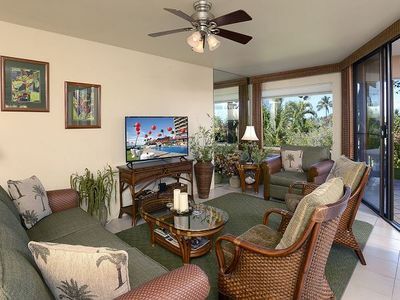 Our town home is over 1200 square feet with a 300 square foot lanai (patio). We are very proud of our clean, comfortable home which we love. Three complete bedrooms, two baths, a large living and dining area including a washer & dryer will allow six to eight guests to be very comfortable. 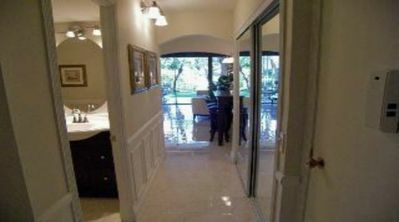 There is one master bedroom with a king bed, private bath, ceiling fan, TV, AC, and sitting area which is on the second floor with a spiral staircase. The second bedroom on the main level has a king bed, ceiling fan and AC and the third bedroom on the main level has a queen bed with ceiling fan and AC. We have a pack-n-play with a 3 inch foam mattress with linens in addition to the three bedrooms and a new hide-a-bed queen in our living room couch. There are new ceiling fans in all rooms as well as air conditioning in the living dining area and the all bedrooms. 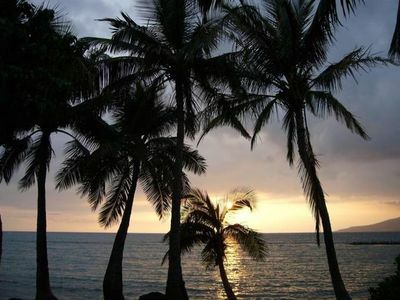 Most units on the island do not have air conditioning due to the trade winds and wonderful weather. 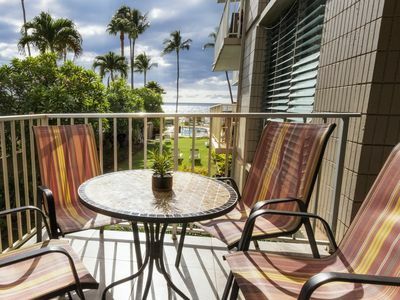 Our unit is situated to take full advantage of the trade winds. Bring a sweater or light jacket for the winter evenings. For those of you that have to work, we have high speed secure wireless Internet in our home. Just bring any of your electronic devices. We have split air conditioning for the warm months. 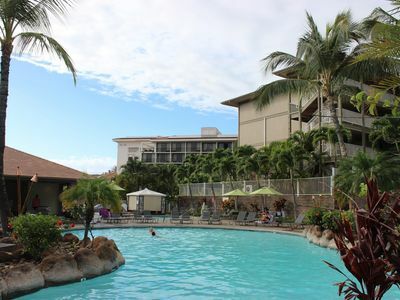 The KOA Resort has the largest heated pool on the south side of the island (100,000 gallons), a very nice hot tub spa by the pool, and two outside showers. 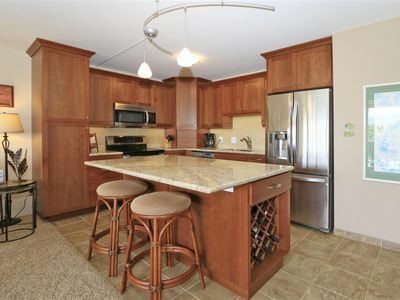 Two new tennis courts, a large spacious cabana, gas grills, and shuffle board are all within steps of your front door. 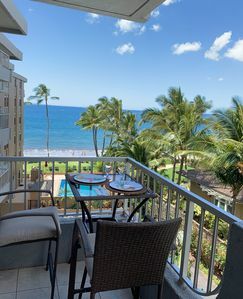 Shopping, dining, Safeway, Starbucks,, Kihei Cafe, all types of restaurants and more are less than a mile to the east down Kihei Rd. Please look at our map. 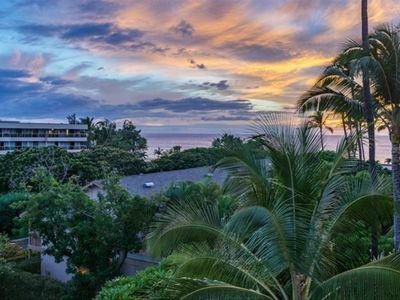 Our town home is very close to the best things to do in Maui. 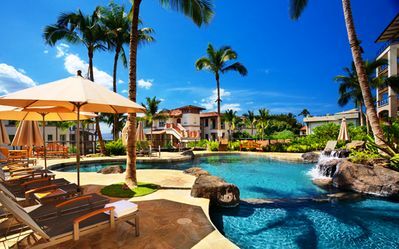 The Maui Ocean Center and Ma’alaea Harbor are a few miles to the west to include Humpback Whale watching with the Pacific Whale Foundation, snorkel trips or deep sea fishing excursions. Whale season is November 1 through mid May. The beach is right across the street. One block to the west is the Hawaiian Islands Humpback Whale National Marine Sanctuary. 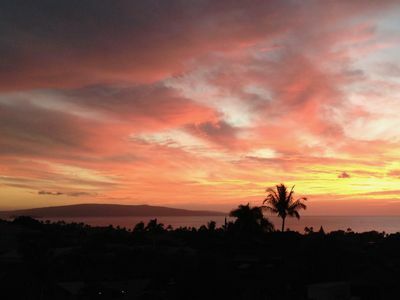 You can watch the sunset or whales from their deck, visit their education center, explore the ancient Hawaiian fishpond, or walk six uninterrupted miles on the sand beach to Ma’alaea Harbor. The Kihei Canoe Club and Maui Canoe Club is one mile down Kihei Road right on the beach and welcomes guest paddlers on Tuesday and Thursday mornings with donations. Snorkel, swim, wind surf, paddle, SUP or just sit on the beach is the way to recreate at our beaches. There is a bus service available right down on Kihei Rd. The bus schedule is available at 808-871-4838. 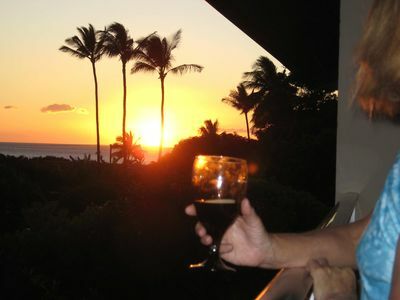 Lanai’s are made for sipping Mai Tai’s and you can definitely try that activity as well. 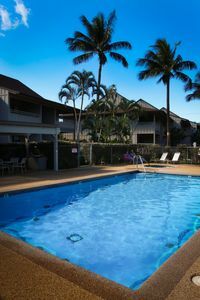 For your Holiday on Maui our location, cleanliness and comfort should be your expectation in choosing the right lodging. Another significant feature is that you are working with owners and not rental agents. This is our home that we rent when on the mainland visiting grandchildren. So you can expect a clean, comfortable home for your stay. 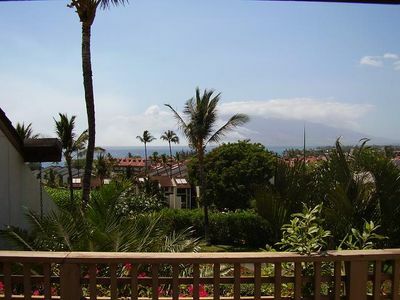 You don;t have to pay Wailea prices and you can have a real home with everything you need for your island visit. Our home and property is non smoking but we do have three smoking designated areas for those interested. Aloha. When you book our home you will be eligible for a free app that gives you all information about our home and our property. You will not be dealing with a rental agent but the owners. We rent our home when we go to the mainland to visit grandchildren; so you can expect a home and not a rental! We have everything you need just like your home. The average nightly rental stated at the top of our web page is a weighted average of nightly rentals in our area as researched by HomeAway and VRBO. Please review our rates on this site. We have rates for whale season, spring, summer, fall, and a Holiday rate during December and first part of January. Our prices are very competitive for the leeward (dry) side of the island. Parking is free but you will have to register your car with our site manager please. Mahalo for considering our home. 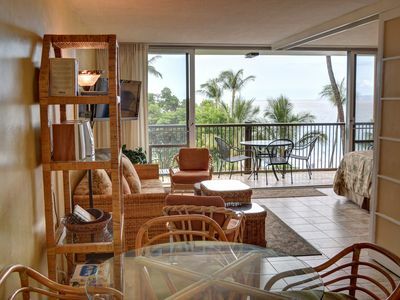 Up to 25% off One Bedroom Oceanfront Condo in Kihei - Walk to Everything! 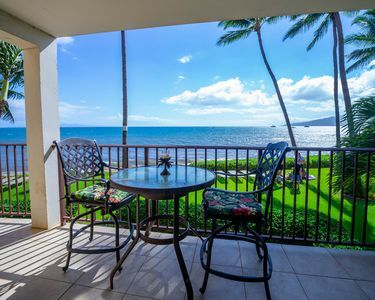 Quiet & Beautiful Place for a Hawaiian Getaway! 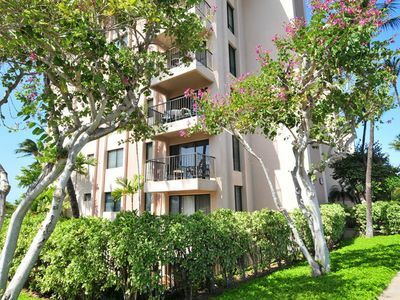 Maui, Kihei Condo, Great Central Location - Top Floor, Quiet And Private! 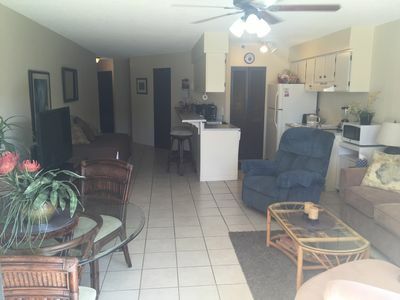 Ocean Lovers "Good Life" Beach Front Condo only 36' to beach!